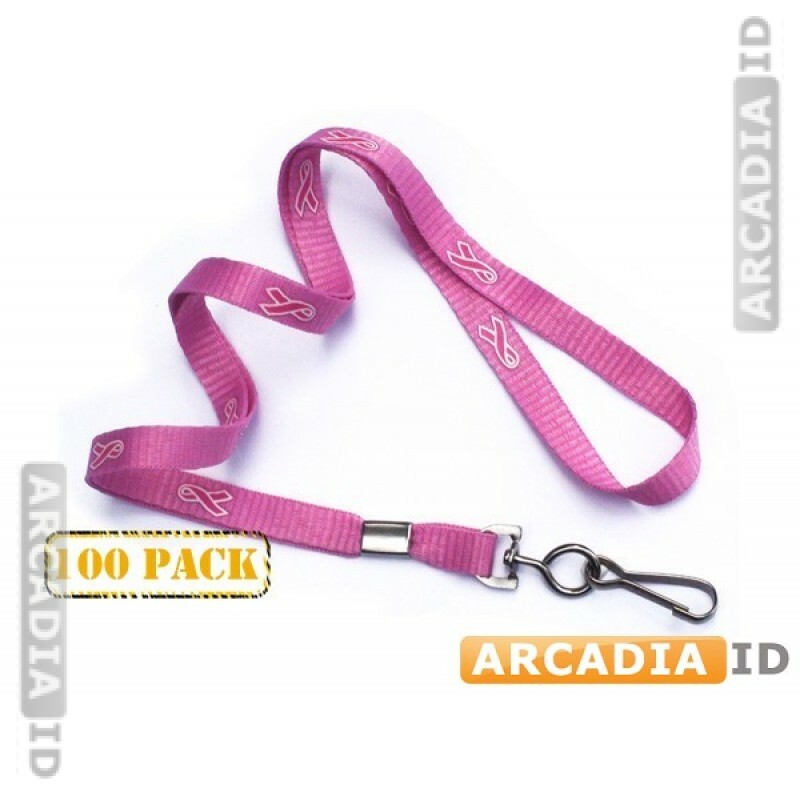 Order packs of 100 lanyards and make great savings. 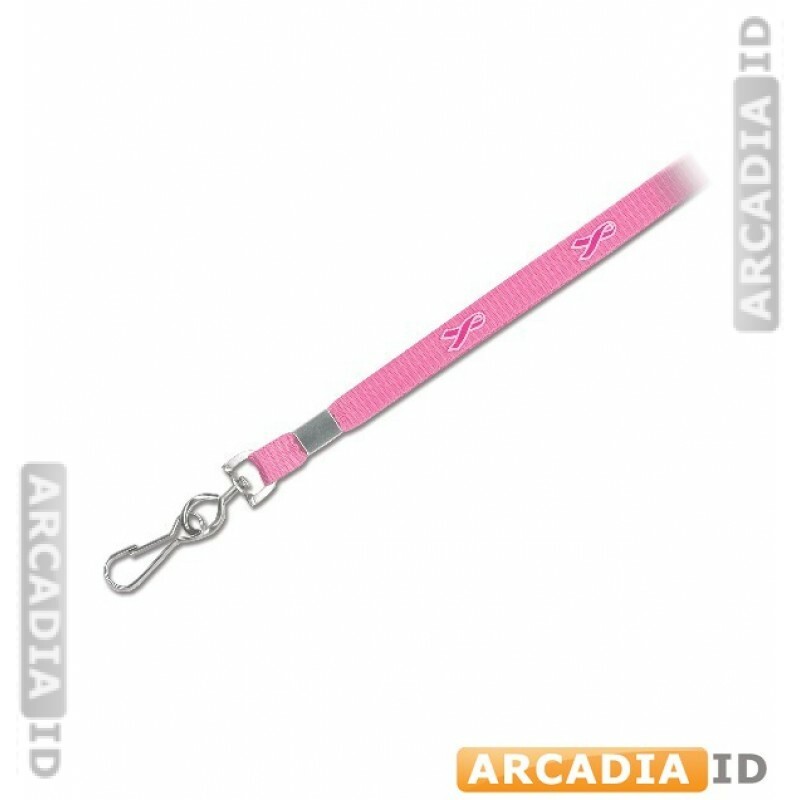 These lanyards are designed in pink to raise awareness for breast cancer thus serving a dual purpose while letting your staff carry their photo ID cards. Can't find what you want? Contact us now for a free consultation. For the best products and value trust ArcadiaID.